Andrew is a New Zealander (and since 2007 also Thai) besides English he also speaks German and Thai. He spent the first 30 years of his career in a large German multinational corporation (Hoechst AG) where he fulfilled various senior management and regional positions. His years climbing the corporate ladder enabled him to accumulate expertise in Sales & Marketing, Information Technology, Controlling, Accounting and Finance, Management Accounting, Production Management and General Management. In the role of senior management Andrew also has had great exposure in dealing with the various stakeholders in many types of businesses, he has developed strong skills in relationship management, negotiating skills with both internal and external parties managing their expectations. 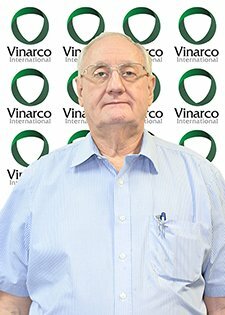 In January 2015 Andrew rejoined The Vinarco Group after a 7 year gap, as our Group Managing Director. 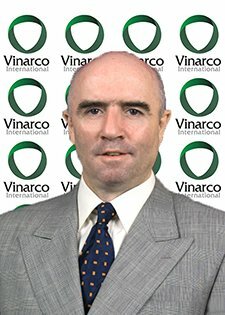 He is directly in control of Information Technology and also the Communications infrastructure business known as Vinarco ICT, while overseeing other Group activities. Andrew comes with broad hands on experience, he is a very active Manager who is motivated and looks forward to helping the organisation and especially our staff and through empowerment for them to improve and grow their roles. Sarunya received Bachelor Degree in Arts and an MBA in International Business Management from Dhurakit Pundit University. Her professional career in the Oil and Gas industry, started when she joined PTTEP Services, one of the subsidiaries of Thailand’s state-owned PTT Public Company Limited. Sarunya had worked on many offshore investment projects, assisting them with manpower planning and management, and responsible for end to end processes from mobilising to demobilising phases on each project, by working closely with PTTEP vendors ensuring that all activities were being delivered as per PTT’s compliance and corporate governance standards. Her knowledge of the industry, the professionals (Thais and Non-Thais) she engaged with throughout her time at PTTEP proves to be a valuable asset for us. 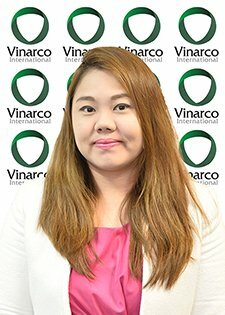 Sarunya joined Vinarco Services in 2012, as Senior Account Manager and later Business Development Manager responsible for our top-tier clients in oil and gas industry as well as international engineering services companies. As our Senior Manager – Vinarco Energy Services Division, Sarunya is now in charge of identifying and development of new business opportunities for both local and regional levels, she is one of our proud homegrown talents, we do enjoy seeing her grow and support her career ambition, we do appreciate her professionalism and her high commitment in wanting to represent Vinarco in the best possible way. “Jaithep is an Telecom Engineer graduate from King Mongkut’s Institute of Technology Lardkabang, he has spent and developed his career in the Telecommunication industry since 1997. Jaithep joined Ericsson Thailand, initially as Radio Base System Test Engineer, then was offered a role with Ericsson China as Base Transciver Station, Installation & Test Supervisor, where he was responsible for improving the telecommunication network in Guangzhou province. Jaithep successfully lead and implemented many projects during his time with Ericsson, his last assumed position was as their Access Network Implementation Manager. Jaithep took a new set of career challenge and stepped into a Country Manager role to manage Relacom Thailand from 2002 to 2010. Under his management the company was responsible for Base Transceiver Station installation for Thailand and Indochina markets. 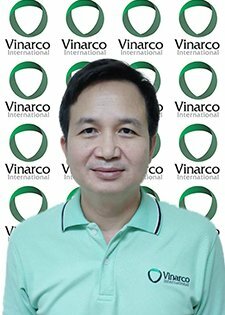 Jaithep join The Vinarco Group, in 2011 together with few other telecommunication professionals, they have built a strong and sustainable business arm which has become our ICT Division today. With his dedication and continuing effort, our ICT team has grown rapidly, with over 50 Engineers including a few experienced Project Managers, supporting our clients as their “one stop service” based on our variety of skilled resources in Radio Frequency, Civil Work, Base Transceiver Station, Power System Installation, Transmission etc.